Don your rose-tinted spectacles and think back to 2003. Formula 1 cars had screaming V10 engines; Burns and McRae were in one of the WRC’s most hotly contested seasons ever; and the Deutsche Tourenwagen Masters had come of age since its resumption. We might not have known it at the time, but this was a definitive era for motorsport. And because it was, that made it a definitive era for the homologated road cars, too. 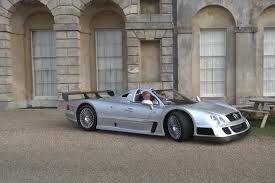 McLaren had teamed up with Mercedes to produce the SLR in celebration of its F1 partnership; there was still a proper Impreza in the WRC so the road cars had genuine pedigree; and, shortly afterwards, AMG launched its CLK DTM, the division’s then most extreme road model this side of the GT1 homologation CLK GTR. We had it very good. The CLK DTM was arguably the most surprising car to be produced from this hot pot of motorsport excitement. Rather than being developed for homologation or ahead of a racing campaign, the car was a direct response to those things. Mercedes won the 2003 DTM title with legendary driver Bernd Schneider, giving him the fourth of an eventual five titles in the series, and saw it as a good enough reason to create a celebration model for the road. Based on the already very capable CLK AMG - a car that was brand spanking new in the year that followed Schneider’s success and had 362hp from AMG’s old 5.4-litre V8 - the DTM turned the wick up to the extent that the additional acronym suggests. Although the same block lived under the bonnet that drove through a 5G-Tronic torque-converter, the rears were troubled with an additional 220hp – or 60 per cent more punch than before. This being the turn of the millennium, power outputs of this lunacy were not achieved with the humble turbocharger. 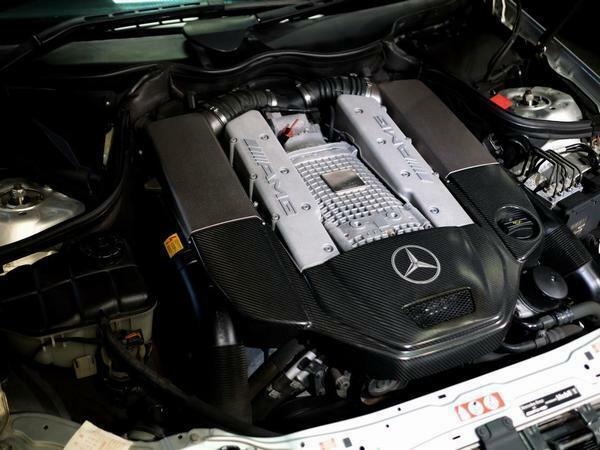 AMG used a supercharger – or Kompressor – to reach the new 582hp peak, adding a purposeful whine to the V8’s throaty voice to make the CLK DTM one of the most distinctive-sounding cars of any type. The additional hardware helped to push the DTM over 1.7 tonnes, but it now had the muscle to hit 62mph in 3.9 seconds and nudge 200mph. The chassis was modified accordingly, with the most noticeable changes a wider set of tracks under DTM racer-mimicking arches. There were new linkages, hub carriers, bushes and thicker driveshafts, with the springs and dampers altered to match. The resulting setup delivered a chassis as keen as its powertrain, although with such reserves of power it demanded respect. A proper AMG, then. But one that could also pull 1.35 G in the corners. What really set the DTM apart from other cars at exotica's sharp end - stuff like the Ferrari 360 Challenge Stradale – was how tame it could be. Its engine would burble along in traffic at low revs and trundle along the motorway as if it were of far less sporting tune. But prod the aluminium throttle and you’d awake the sleeping beast in an instant. This was true for the car’s wider demeanour, with only the hefty fuel bills to deter you from embarking on a European voyage. Even the single-piece carbon fibre buckets were comfortable on your backside. But when a car that cost more than a townhouse was produced in only 100 examples, many were destined for lives in largely static collections. 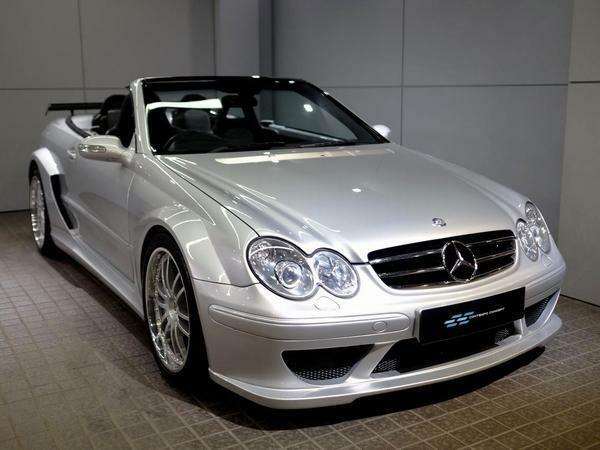 We hope F1 stars, Jenson Button, Kimi Raikkonen and Takuma Sato, put the CLK DTMs they bought to good use. And the same for the Cabriolet versions, of which only 80 were made two years later, which ended up in the hands of Juan Pablo Montoya and Mika Hakkinen. 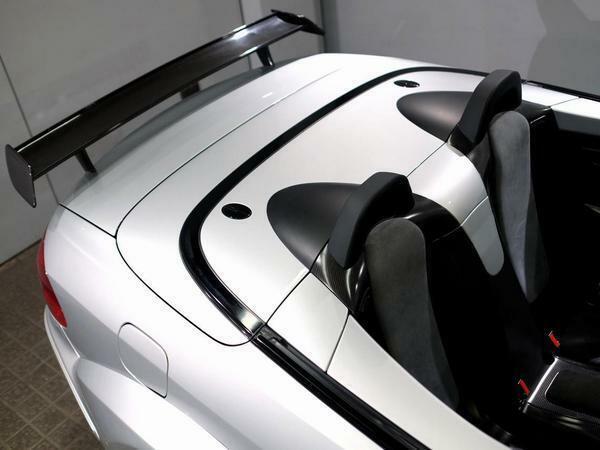 Before the days of drop-top Speciales and Performantes, making a convertible version of a motorsport-inspired super coupe was considered near sacrilege. But if anyone was able to successfully turn out a roofless version of an ultra-powerful V8, it was AMG – although not even the boffins there could keep the DTM Cab’s weight below 1.8 tonnes thanks to the addition of a folding soft-top. 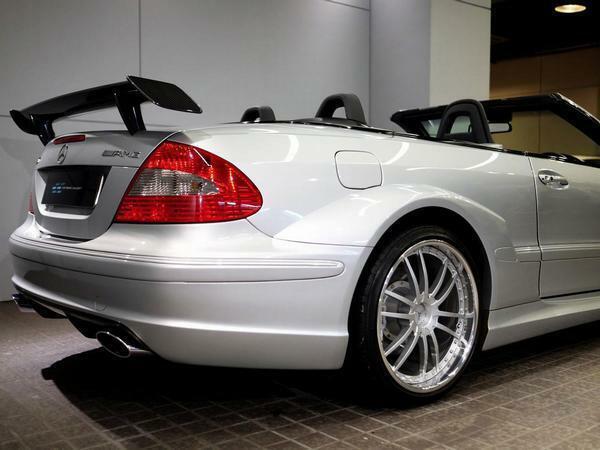 The extra mass brought about by the roof’s mechanism and thicker CLK convertible structure meant the rear-driven DTM now took 4.0 seconds to hit 62mph and, more significantly, required a retuned chassis. But it was still every bit the monster that the tin-top model had been, only now the ‘charger whine and eight-pot roar were even more overpowering. Little wonder all 80 cars were reportedly snapped up for north of £200k. And perhaps it was only inevitable that the rarer convertibles, like today’s 7,000-mile-old Showpiece, would rise in value to by almost 100 per cent. 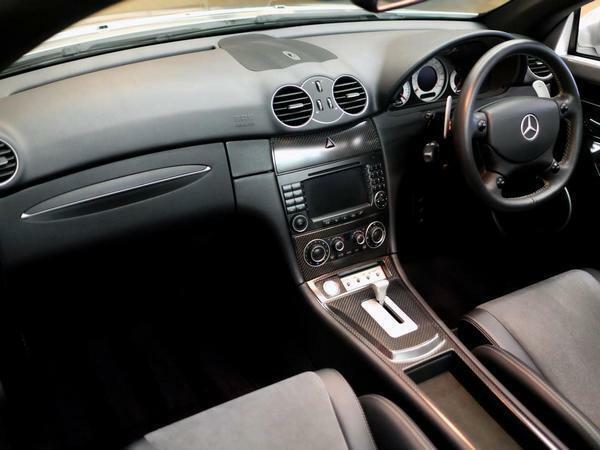 This “like new” car is up for £380,000. Click here to see the original ad. 380k. seems cheap compared to some other Greats. Surely it's a good investment. There are plenty of v8, V10 and v12 exotics from the best stables in the world for half this sticker price. No thanks from me, even at £80k I wouldnt be tempted. I think it's wonderful. A beast of a car, with a true Jekyll and Hyde personality. It's expensive, but if you could, you would! At the time I applauded AMG for producing something an FSD (f king silly daft) engine, and still do. But that rear spoiler is as pretty as a burst blister, and the alloys have that ‘Ripspeed’ touch about them. Personally I would have hoped for, yes, a decent rear spoiler, but something much smaller, body coloured and not stuck 10’ into the air on stanchions. Always felt this lost something in translation from the tin-top version. I have to agree. The hard top looks like a race car and has the power to back it up. Sadly I think this convertible one looks like a convertible with a body kit that's an after thought. Just not sure it suits the styling as well. The price is pretty crazy as well. It’s a shame the seller has put facelift rear lights on it, how could someone try and charge 380k for something with rear lights taken from a facelift, why not put the original lights on it? I expect seeing things like these at the bottom of the market, cars like old A6’s converted into facelifts with more LED lights than Times Square. The user hasnt fitted them, later facelift models had this, note the facelift front grill and facelift centre console. nearly all of them were facelift. This looks a million times better than any current AMG model. A coupe will do even better. They have that elegance and restraint (yes, even with the DTM bodykit) to it that Mercedes was once known for. If it weren't for the slow-shifting five speed auto, I would do well to pick one up before they rise even more in value. If I could, I wouldn’t, what a massive pile of bling! I've been watching the prices of Dtm Mercedes for a while and I think this is well overpriced as is most of this dealers stock imho. I also agree that the tin top coupe is the better looking aesthetically of the two . Sure its ace but DTM plus cabriolet ? Its like a pair of top of the range running shoes, with high heels. 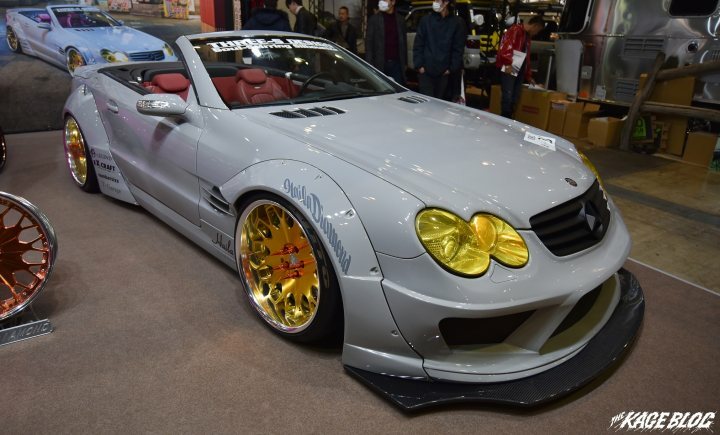 Also got an air of four grand CLK someone has spunked their life savings on to buy, fit ad paint a lairy bodykit, as surely it cant be a Mercedes creation being a convertible. As with many others I love the fact they made it and I think the coupe looks fabulous but the cabriolet just looks weird. That side profile is utterly gorgeous! horrible thing, coupe all day without the wolfrace wheels please! Suppose this is just an even bigger pile of bling? Poles apart as I see it.